Download & Own the Quantum Conversations Library! Full access to the Quantum Conversations Archive Library featuring over 400 episodes over the last 12 years. Select which shows to download at anytime. Featuring Dr. Joe Dispenza, Masaru Emoto, Dr. Bruce Lipton, Dr. Sharon Forrest, Patricia Diane Cota-Robles, JK Knight, Matt Kahn, Lisa Transcendence Brown, Sandra Walter. 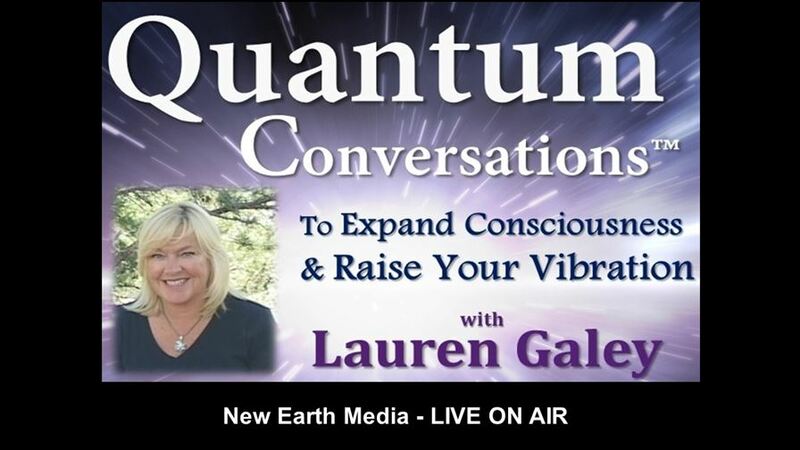 This is the Full Archive of all Quantum Conversations and Healing Conversations with Lauren Galey. Own this Series and Download the MP3s to listen to anywhere, anytime you wish! Quantum Conversations shows are designed to EMPOWER & ENLIGHTEN you in your remembrance of your true mastery and your Divine Purpose for being here on this planet. Each Healing Conversation will assist you in moving into and staying in the High Vibrational Frequencies of Joy, Unconditional Love, Gratitude, Praise, Compassion. These are the creative forces of the Universe that will change your life…and you’ll be shown how to use them by world-renowned spiritual teachers & healers who share step-by-step processes, meditations, activations, visualizataions and information in every show. Everything in our universe is frequency…we can feel it in our bodies when something or someone upsets us , and we can feel it in our bodies when we’re really happy and carefree. They are two totally different energies/frequencies, again…that we can actually feel in our bodies…this is a frequency that literally holds you back and makes you shrink or get heavy, and the other that makes you alive with energy, and very light. This frequency is the creative forces of the universe and you’re going to learn how to use it for the highest good in your life! The Universe supports fully loves and honors you and gives you everything you ask of it…..so it’s imperative we first master our words which ripple out across the universe. In these shows, you’ll learn how to become aware of your negative thinking and speaking so you can instantly change it…shift it…and transform it into what you really want to create. MP3 Downloads of our last 2 Seasons! Enjoy two Seasons Quantum Conversations! Downloadable MP3s are easy to take out in the field with you or burn to CD. You’ll receive a download link to the archive of ALL Shows in our last two seasons so you can download and listen anytime. Each of the shows of Quantum Conversations is produced into individual programs that you can listen to at anytime, in any order, again and again as you need it. Featuring Dr. Joe Dispenza, Masaru Emoto, Kahu Fred Sterling, JZ Knight, Matt Kahn, Bruce Lipton, Jim Self, Lisa Transcendence Brown, Sandra Walter, JJ Hurtak, and many many more enlightening, inspiriting guests who share knowledge and wisdom on consciousness. Learn this self-healing technique of the 5 Sacred Rings from the legendary Dr. Norm Shealy. The “Rings” have been scientifically proven to increase DHEA, oxytocin, calcitonin and more. Dr. Norm will share his 5 Ring Therapies: Ring of Crystal, Ring of Air, Ring of Water, Ring of Fire, Ring of Earth which offer specific tapping points which have been scientifically proven to reduce free radicals, osteoporosis, depression, post-menopausal symptons and much more. Mas Sajady is a Quantum Healer who’s two near-death experiences have given him the ability to see the hologram, or “blueprint”, that make up the human body. On a group level, he’s able to see imperfections, blockages and stuck energy, and “edit” the program to assist the liberation of this old energy, or outdated “software” program held in our physical bodies. xperience the FEELING of a session with Mas Sajady! Light Language Healer & Psychic Dorian Light offers a powerful group healing session that will remove blockages holding you back. With Psychic Energetics, you’ll experience a release of old programs and a renewal of connection to Source, where you’ll visualize the infinite possibilities available for your creation. thank you so much for bringing us these messengers of light and special offers, – You are doing a phantastic job of finding these very special healers. I had been a fan of Raquel Spencer and had her album before, but acoustically your interview is the acoustically richest of all her interviews and recordings that I ever heard about her work.